On January 4, Unilever informed GMB and Unite, the IUF UK affiliates representing workers at the Colman's Mustard factory in Norwich, that the factory would be closing by the end of 2019. Unilever's announcement followed the decision by drinks maker Britvic to cease producing at the site, which they share with Unilever. 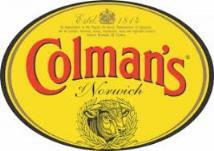 Colman's Norwich currently employs 113 workers. Of these, the company plan calls for 43 to be transferred to Burton on Trent (where Marmite and Bovril are manufactured). Twenty-five positions will be created at a mustard milling facility in Norwich to be set up with the farmers who supply mustard seed. Some of the Norwich facility's production and packaging will move to Germany. The unions have condemned the planned closure for the 'devastating' impact on the plant's workers and on the community, called for the company to consider alternatives and pledged to fight compulsory redundancies.